Rensselaer County DA Joel Abelove in court Friday. Community members staged a protest outside the Rensselaer County Courthouse. Embattled Rensselaer County District Attorney Joel Abelove has been charged with official misconduct and perjury. 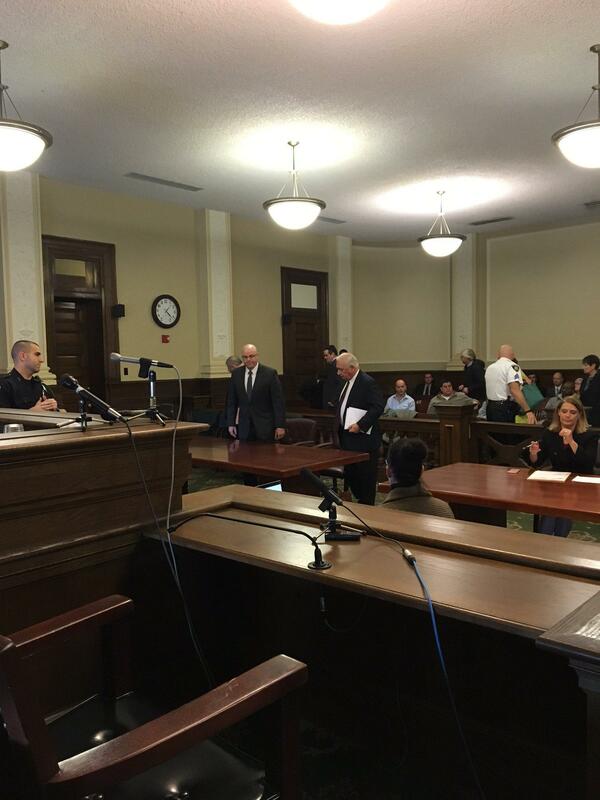 WAMC’s Capital Region Bureau Chief Dave Lucas was at today’s Rensselaer County Court appearance. First-term Republican Joel Abelove appeared in court as a grand jury indictment was unsealed. Abelove faces two misdemeanor counts of official misconduct and one felony count of perjury. The charges stem from his handling of the investigation into the April 2016 death of Edson Thevenin, a DWI suspect who was shot and killed by Troy police Sgt. Randall French, who claims Thevenin was trying to run him over. After Thevenin's death New York State Attorney General Eric Schneiderman’s Special Investigations and Prosecutions Unit informed Abelove it needed additional information to determine whether the death fell under the AG’s jurisdiction. 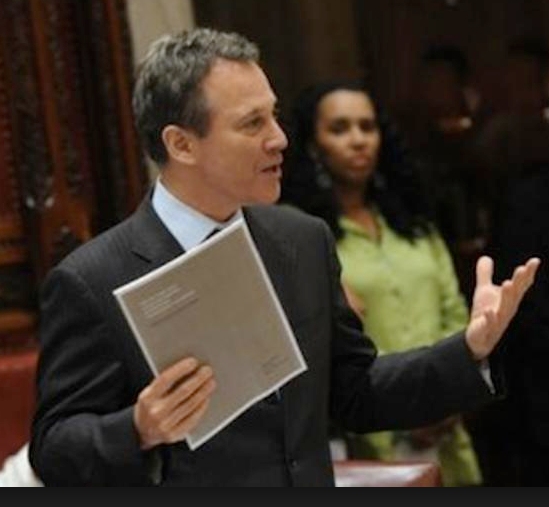 In 2015, Governor Andrew Cuomo empowered Schneiderman to investigate all cases where a law enforcement officer causes the death of an unarmed civilian or where there is a significant question as to whether the civilian was armed and dangerous. Schneiderman contends Abelove fast-tracked the officer's case to a grand jury before the attorney general could launch any investigation. That grand jury cleared Troy police five days after the incident. Schneiderman then presented his own case to a grand jury, contending Abelove’s actions violated the law and undermined a criminal investigation. Which brings us to Friday's court action. Outside the courtroom Abelove told Spectrum News he had done nothing wrong. "We will seek dismissal of these charges or a speedy trial so that our citizens are not disadvantaged by a long and drawn-out public spectacle." Abelove pleaded not guilty to two misdemeanor official misconduct counts and a felony perjury charge. "I intend to vigorously defend against what I consider to be frivolous and overreaching allegations by the attorney general. I intend to stay on the job and continue to serve the residents fo Rensselaer County as their elected district attorney." Abelove was released on his own recognizance. Pastor Tre’ Staton of the Empire Christian Center, the Thevenin family church, was in court with some family members including Thevenin's mother Gertha and wife Cinthia. "Well, justice would be that someone serves time for murder. That would be justice. But there's still quite a distance to go before that kinda decision is being made, so," said Staton. Cinthia Thevenin added "The worst thing about the case is moving on and we're gonna get answers to what happened to my husband, her son, so we're just gonna keep on prayin' about it." Today, New York Attorney General Eric T. Schneiderman announced a grand jury indictment charging Rensselaer County District Attorney Joel Abelove with two counts of official misconduct and one count of perjury in the first degree. The charges stem from Abelove’s handling of the April 2016 death of Edson Thevenin, a civilian who was shot and killed during an encounter with Troy police. In July 2015, Governor Cuomo signed Executive Order No. 147, appointing the Attorney General as special prosecutor in cases where a law enforcement officer causes the death of an unarmed civilian or where there is a significant question as to whether the civilian was armed and dangerous. Following the death of Edson Thevenin during an interaction with Troy Sergeant Randall French, the Attorney General’s Special Investigations and Prosecutions Unit informed Abelove that it needed further information to determine whether the death fell within the Attorney General’s jurisdiction, pursuant to the Executive Order. However, as the Attorney General’s office has alleged, instead of providing that information, Abelove quickly and surreptitiously presented the case to a grand jury. 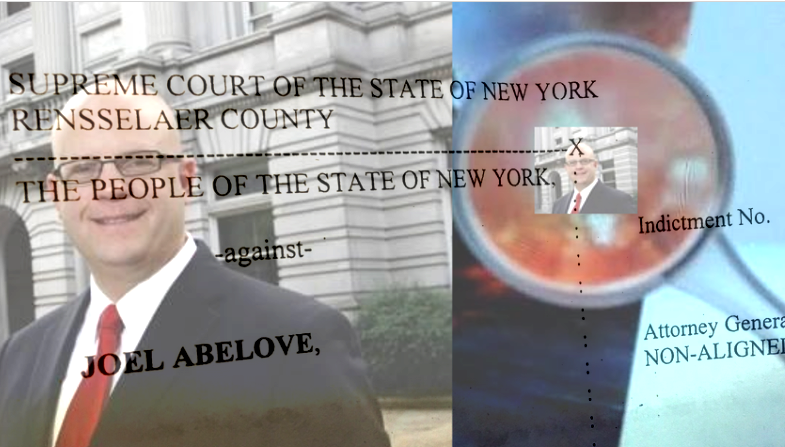 In violation of both his legal and ethical obligations, Abelove allegedly withheld material evidence from the grand jury, effectively coopting its ability to make an informed decision about the matter – with the inevitable and intended result that no charges were brought against French. Furthermore, Abelove allegedly took the extraordinary step of conferring immunity upon French before the grand jury even took a vote, seeking to protect French from any potential future prosecution in the Thevenin shooting. On April 29, 2016, Governor Cuomo issued Executive Order No. 147.4, empowering the Attorney General to investigate any “unlawful acts or omissions” by Abelove or any other law enforcement officer involved in the Thevenin grand jury presentation. Abelove then testified during the grand jury investigation into his handling of the Thevenin matter, and allegedly, in an effort to legitimize his own conduct, made a materially false claim about the granting of immunity by another prosecutor during the grand jury investigation of a prior police shooting handled by his office. Today’s indictment charges Abelove with two counts of official misconduct, a class A misdemeanor, for knowingly withholding evidence from a grand jury investigating the death of Edson Thevenin and knowingly failing to secure a waiver of immunity from French as a condition of his testifying before the grand jury; and one count of perjury in the first degree, a class D felony, for making a false statement under oath to a Rensselaer County grand jury investigating Abelove’s conduct. In March 2017, Abelove – in an attempt to stop the Attorney General’s investigation – filed suit against the Attorney General, arguing that Executive Order No. 147 was unconstitutional. The New York Supreme Court rejected Abelove’s claims and dismissed the suit in full in an August 2017 ruling. This case is being prosecuted by SIPU Deputy Chiefs Jennifer Sommers and Nick Viorst. The Attorney General’s Special Investigations and Prosecutions Unit is led by Chief Deputy Attorney General Alvin Bragg. This case was investigated by Attorney General Investigators Ronald Enfield and Mitchell Paurowski with assistance from Deputy Chief Investigator Antoine Karam and SIPU Assistant Chief Investigator John Sullivan. The Attorney General’s Investigations Bureau is led by Chief Dominick Zarrella. 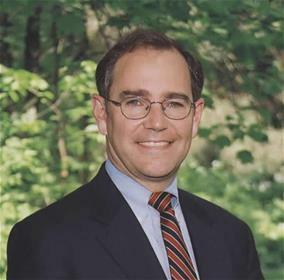 Schenectady County’s District Attorney has been appointed as a special prosecutor after the Rensselaer County DA recused himself from an investigation into a police-involved shooting. The Rensselaer County District Attorney has recused himself from an investigation into a non-fatal police-involved shooting last month in Troy. WAMC’s Southern Adirondack Bureau Chief Lucas Willard reports reversal came after the DA resisted calls to recuse his office. 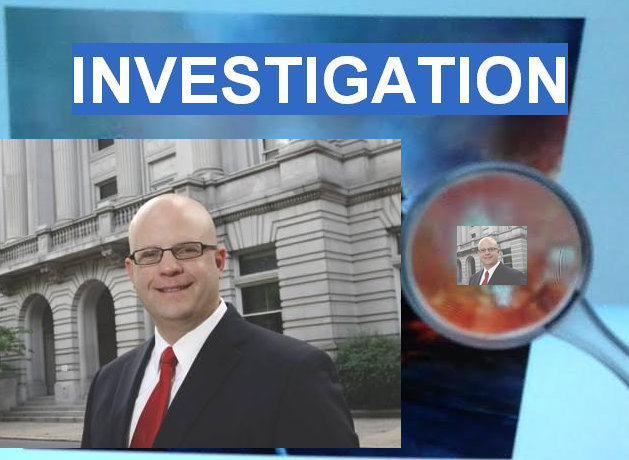 Rensselaer County District Attorney Joel Abelove is now recusing himself from the investigation into a police officer-involved shooting in Troy earlier this month. 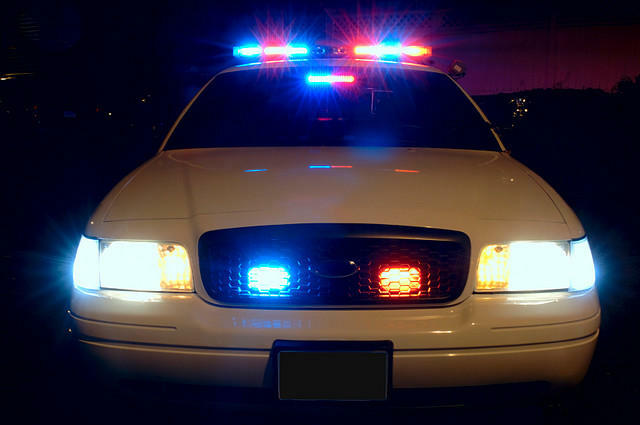 Recent events have brought new attention to police-involved shootings and how they are investigated in New York’s Capital Region. WAMC’s Southern Adirondack Bureau Chief Lucas Willard reports on the conversation surrounding a recent shooting in Troy. New York Attorney General Eric Schneiderman has withdrawn his lawsuit against Rensselaer County District Attorney Joel Abelove stemming from the police shooting death of an area man.